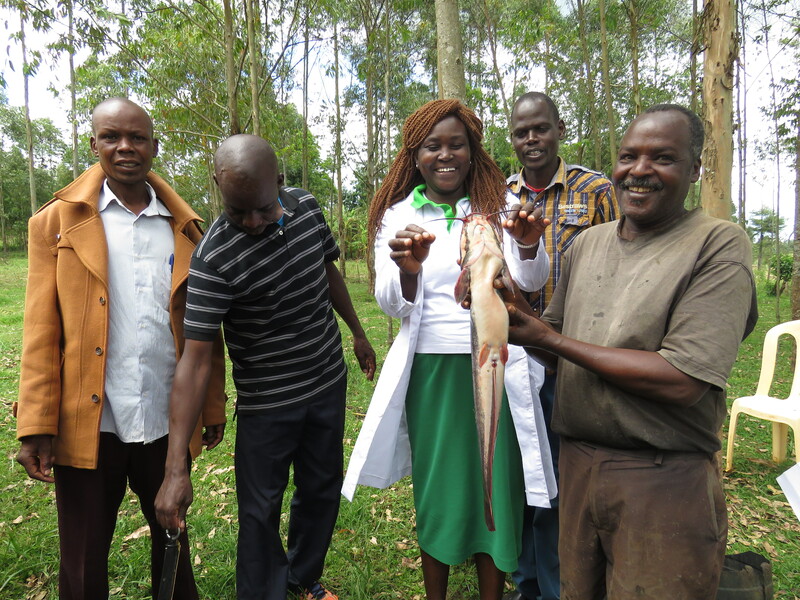 Fish Farmers Trained On Fish Seining, Primary Processing and Value Addition. 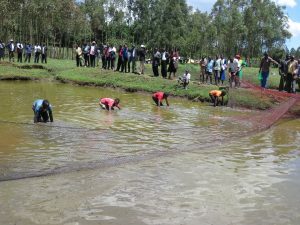 Today over 60 fish farmers drawn from different Aquaculture Cooperative Societies across the county received training on fish farming, harvesting and value addition. Farmers learning the seining process. 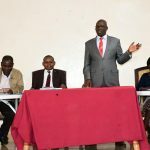 Presiding over the training, County deputy Director of Fisheries Ms. Judith Muya underscored the importance of fish farming in empowering unemployed generation and vulnerable groups. Ms. Muya took farmers not only through economic value of fish and aquaculture systems but also through its rich nutrition value. 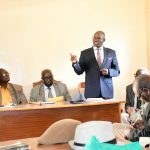 The training which was held at Chepkuyuk Ward was meant to impart fish farmers with requisite skills and knowledge as well as mitigating barriers faced by fish farmers, traders and processors. 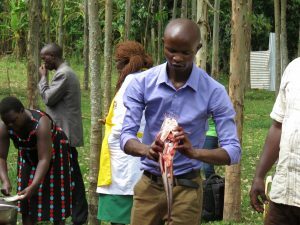 Mr Lameck Menya, a fish expert from the University of Eldoret took participants through the process of seining fish, primary processing and filleting of catfish (which has low bone content compared to Nile tilapia) and cooking. 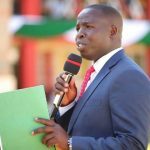 Director of Fisheries Mr. David Kemboi hinted that the County Government has plans to set up a hatchery unit to breed more fingerlings that will then be sold to farmers at a subsidized price in a bid to enhance food security.